As our university celebrates its Centennial, take a look back at Loyola’s Golden Anniversary by viewing the 1962 edition of The Wolf. 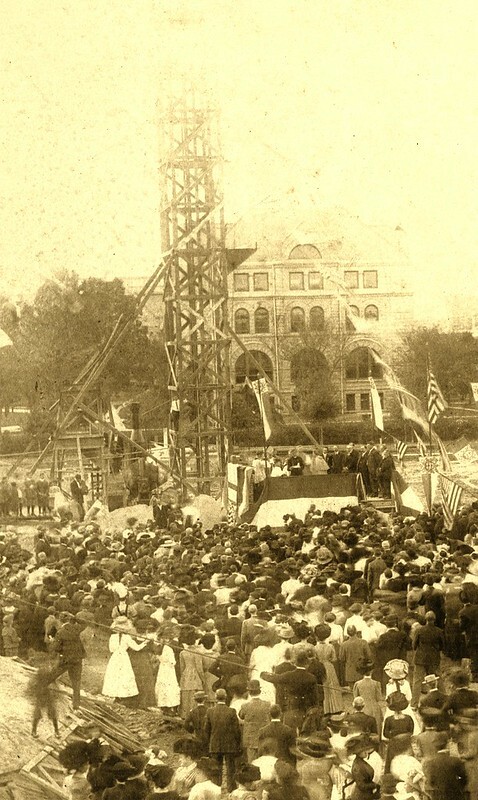 The student editors well document the university’s history up to that time, and even make some predictions for the future, which, at least partially, look familiar. 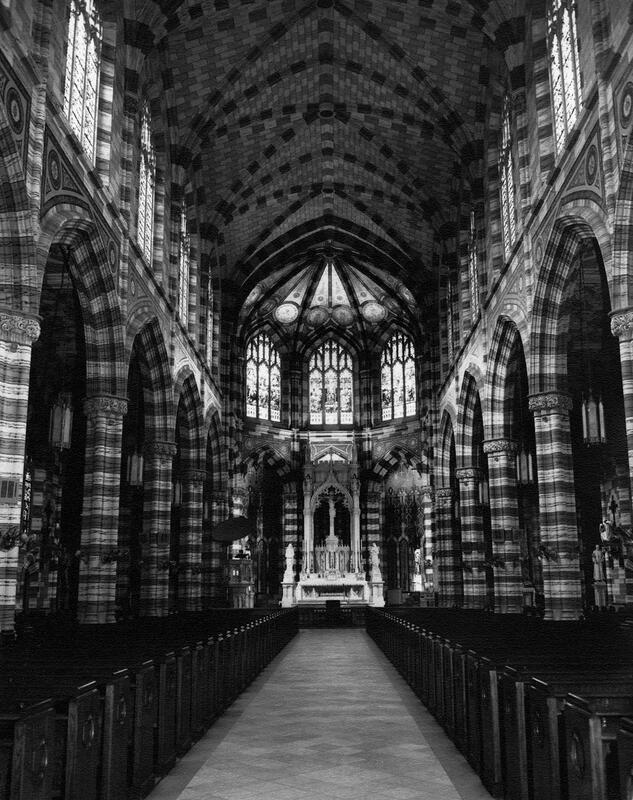 Did you know this is how the interior of Holy Name looked upon its completion in 1918? The church took over five years to build and was considered at the time “the largest and handsomest church building in New Orleans” (Times-Picayune, May 30, 1917). The construction was made possible thanks to an extremely generous donation of $150,000 from a Miss Kate McDermott. Remember, that’s in 1918 dollars. Today that sum equates to over 2.25 million. The dedication and consecration of the church took place on Monday, December 9, 1918, and was attended by such notables as His Excellency the Right Reverend John Bonzano, the papal delegate to America, as well as Archbishop John W. Shaw. For more information about the church check out the Holy Name of Jesus Parish website. 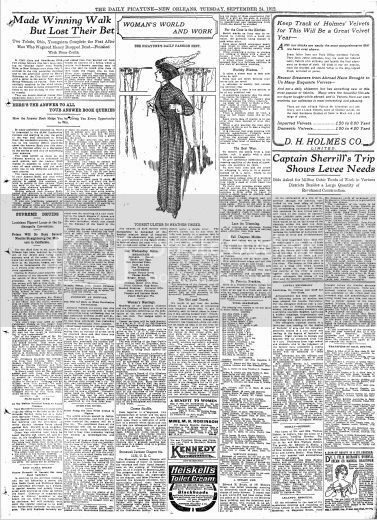 The Digitizing Louisiana Newspapers Project is a part of the Library of Congress’ Chronicling America program, which makes historic newspapers available online. The project provides access to over 50 titles published between 1860-1922 in Louisiana. Laura Charney, Project Manager of the Digitizing Louisiana Newspapers Project at LSU Libraries Special Collections, will lead a presentation on the history of Louisiana newspapers and the digitization project. Attendees will also learn about using the newspapers for teaching and research. On September 24, 1912, the Times-Picayune published course information about Loyola’s first semester offerings. 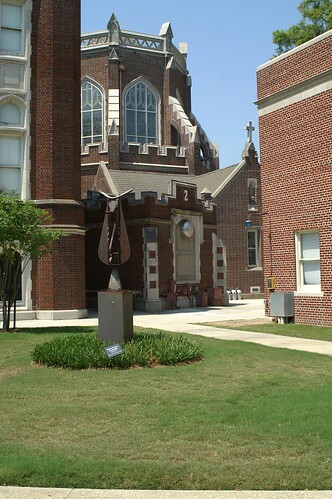 In its inaugural year Loyola offered a four year B.A. program, a two year B.S. , and a one year medical course. See the article in full in the Historic Times-Picayune online here. For more on course offerings in Loyola’s early years, check out the digitized Loyola Bulletins. 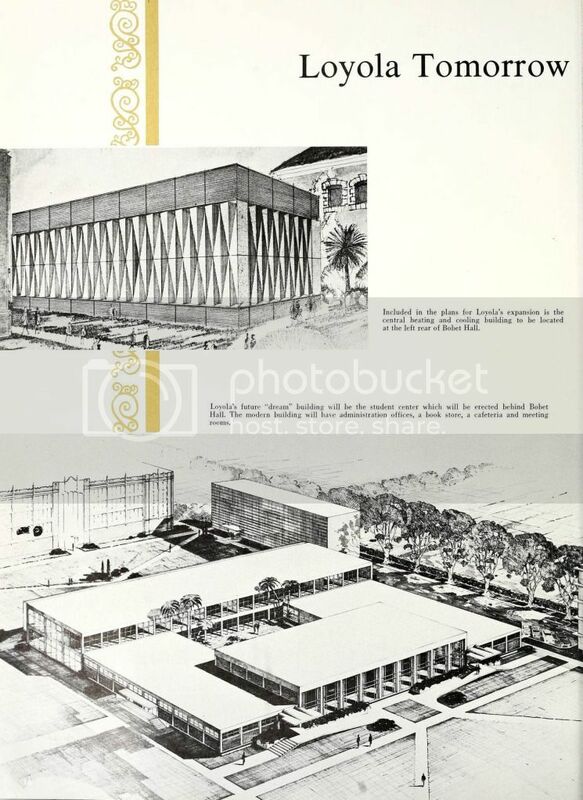 And for a full and fascinating history of our school, check out the Monroe Library Centennial Exhibit. 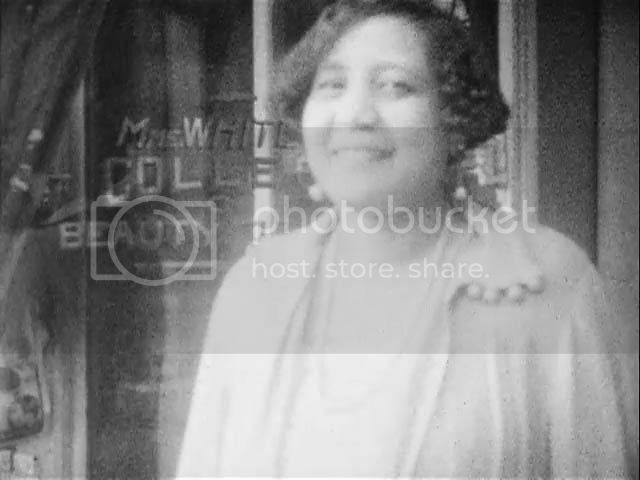 From our friends at Yale’s Beinecke Rare Book & Manuscript Library comes this recently digitized glimpse of early 20th century African American New Orleans. 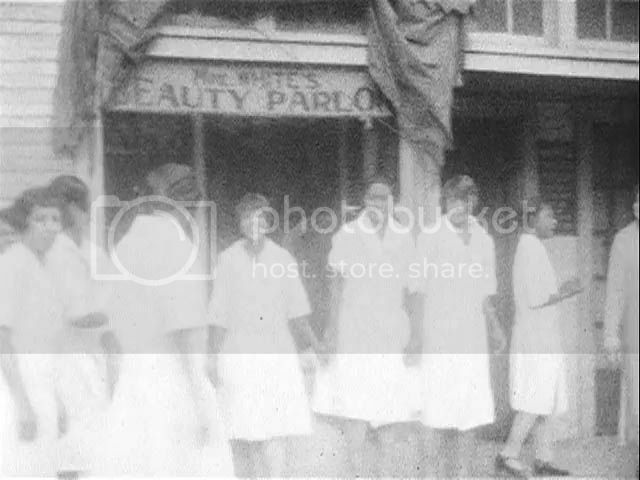 Filmed in 1927, the silent footage features Madame White and her employees outside of her Tulane Avenue Beauty Salon. A look through New Orleans City Directories housed in Special Collections & Archives reveals that Mrs. White’s salon is first listed in 1919, expands to multiple locations over the years, and last appears in 1940. Solomon Sir Jones, a Baptist minister and amateur filmmaker from Oklahoma, made the film on a trip to New Orleans. The collection of his films, mostly documenting African American communities in Oklahoma, may be found on Yale’s website. Found in the Archives is a recurring series of crazy cool stuff found in the Monroe Library’s Special Collections & Archives. And thanks to Yale this time for allowing us to link back to their crazy cool stuff! 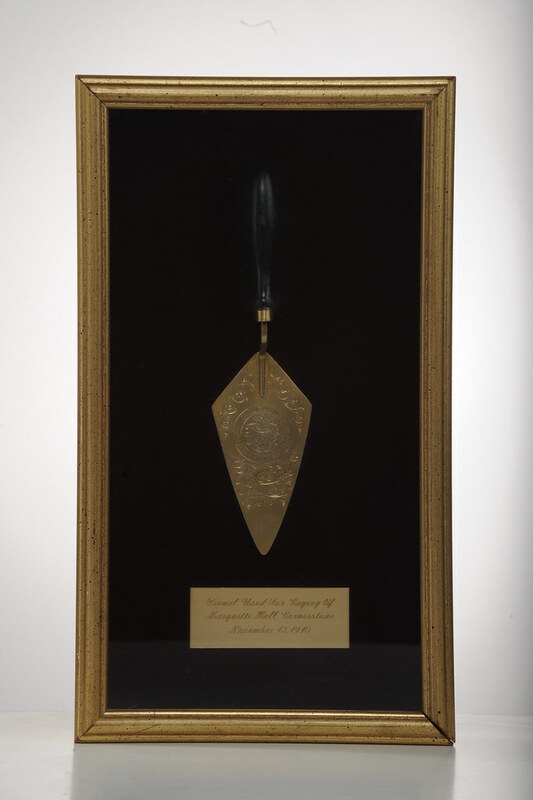 This image and the trowel are currently on display within the Centennial Exhibit in the Special Collections and Archives Reading Room on the third floor of the Monroe Library. At Loyola, there’s something for everyone. Whether you’re looking to write for the school newspaper, play Quidditch, talk about anime and manga, or swing dance, there’s bound to be a student organization for you. But one student organization that Loyola no longer has is the Banjo Club. For photos, videos, and other music-related activites at Loyola, head up to the second floor of the Monroe Library to see the Centennial Performing Arts exhibit. And for more on the history of WWL, check out the windows outside of Special Collections & Archives on the third floor. What do you say, Loyola? 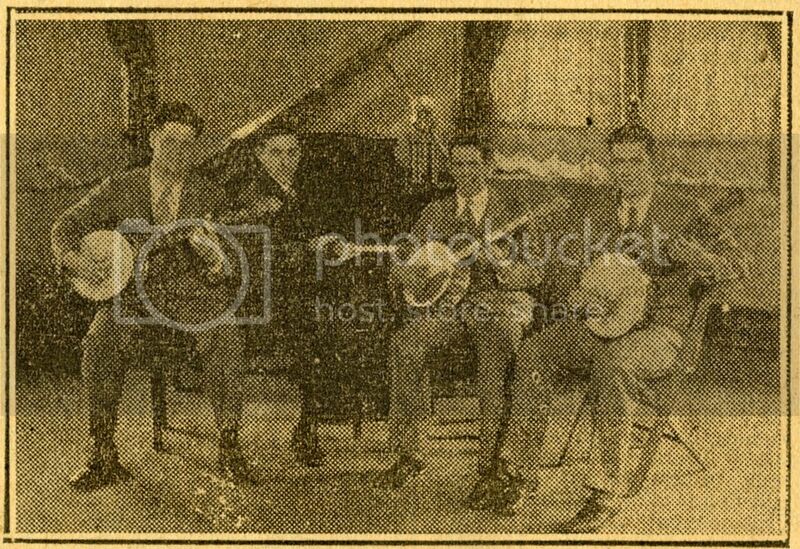 Who wants to restart the Banjo Club? The Monroe Library recently welcomed attendees of the Archivists for Congregations of Women Religious conference. The archivists, from across the United States, preserve the history of women’s religious congregations. Many themselves are members of Women Religious Communities. 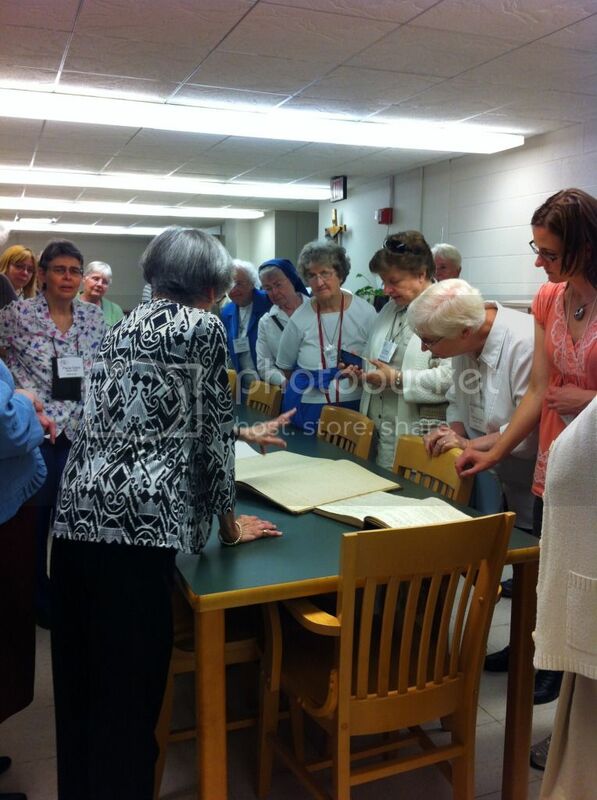 Here, our visitors get a look at the Archives for the New Orleans Province, Society of Jesus in the Monroe Library. Have you ever passed that little brick structure tucked away behind Holy Name of Jesus in the shadow of Marquette Hall and wondered what was inside? Well wonder no more! 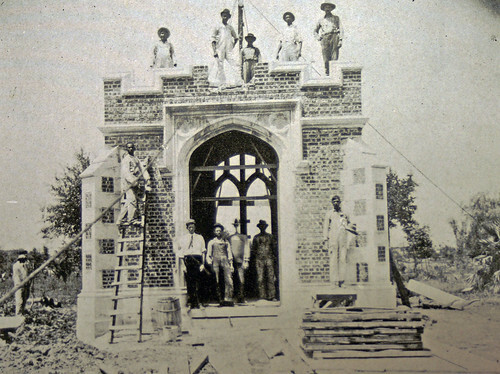 You have just passed the oldest permanent structure on Loyola’s campus. The Burke Memorial Seismograph Laboratory was built in 1910 thanks to a generous donation from Mr. and Mrs. W.P. Burke in memory of their son, Nicholas, a Loyola student. The seismograph has been recording the earth’s tremors for over 100 years as it is still in use today! During the summer of 2012, the Monroe Library was able to add six JSTOR electronic journal collections to the five we already had. Arts & Sciences V has many literary reviews, state historical journals, and specializes in the arts and humanities. There are 120 titles in 22 disciplines. Arts & Sciences VI is strong in social sciences, with 120 titles in over 30 disciplines. Arts & Sciences VII includes an eclectic range of disciplines in the arts, humanities, and social sciences and the largest cluster of health policy titles in JSTOR. It has 183 titles in 35 disciplines. Arts & Sciences VIII specializes in the core humanities disciplines: history, language & literature, art & art history, and education. It includes 19th and early 20th century American Art periodicals from the Metropolitan Museum of Art, the Frick Collection, and the Brooklyn Museum of Art. There are also journals in philosophy, classical studies, and music. Contains 140 titles in over 10 disciplines. Arts & Sciences IX is incomplete. It will hold a minimum of 150 titles by the end of 2012. The collection widens coverage in business and the social sciences: archaeology, anthropology, sociology, business, economics, population studies, and political science. Arts & Sciences X is also incomplete. There will be a minimum of 125 titles by the end of 2013, with broad coverage in business and the social sciences: sociology, education, public policy & administration, and the history of science, technology, and medicine, and business, economics, and finance. Also new JSTOR disciplines, such as transportation studies and development studies. Remember JSTOR Arts & Sciences has the beginning of each journal to three, four or five years ago and not current issues. The total is 838 titles. More information is available at http://about.jstor.org/content-collections/journals. You are currently browsing the Library Lagniappe blog archives for September, 2012.